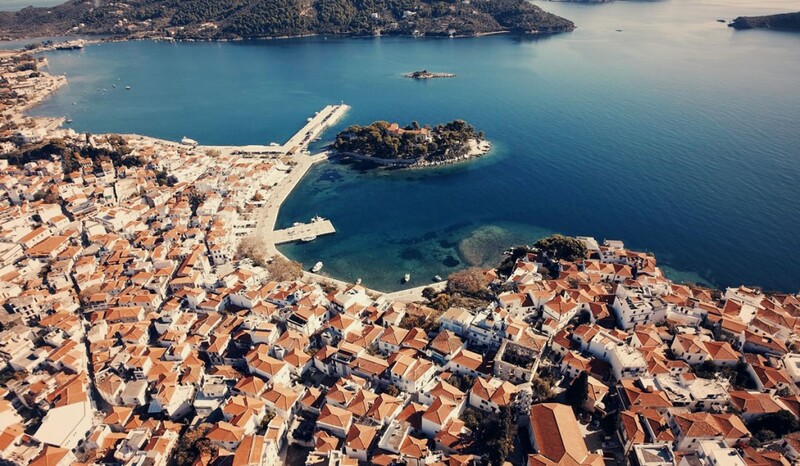 Some of our Travel Guides will take you to the most famous and the most secret places of Skiathos Island. Family-run Fresh Studios in Skiathos are less than 100 metres from the new port and less than 500 metres from the nearest sunny beach of Plakes…. and the view of Aegean Sea is simply breathtaking! 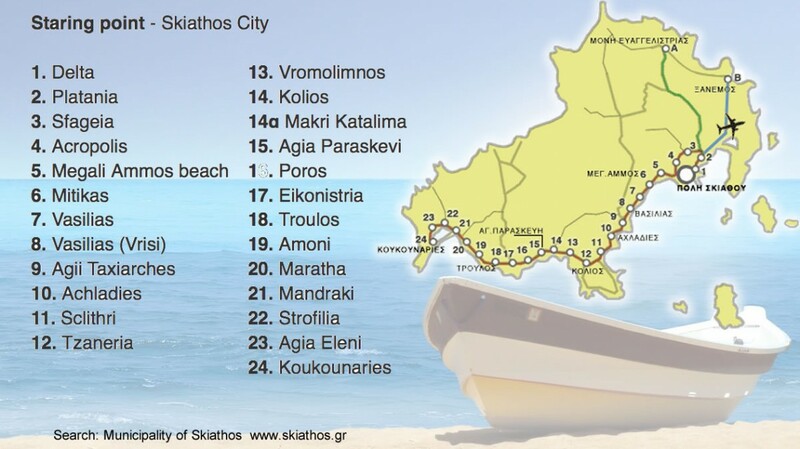 Free transfer from and to Skiathos Port and airport is offered. TheA/C rooms have a TV, fridge and coffee maker. Some units include a kitchen with cooking hobs. The studios have also free access to internet/wifi. Most rooms feature a private balcony with views over the sea. Guests can start their day with a continental breakfast served daily at the property’s cafe, located within a 2-minute walk from the main building and a short walk from the port. Restaurants and bars are within a 5-minute walk from the property. 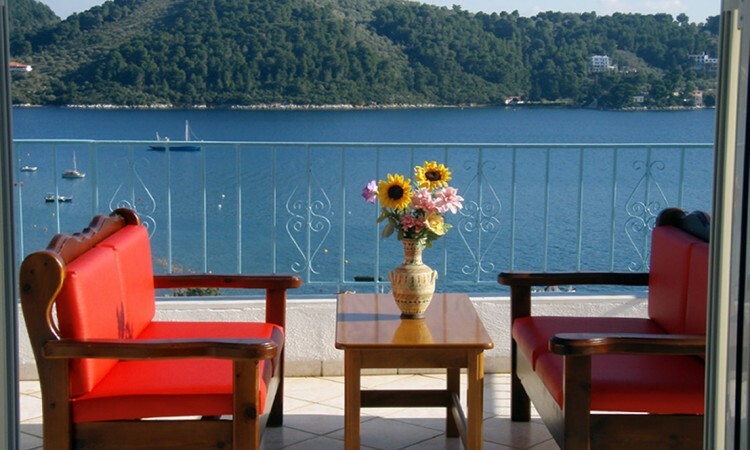 The helpful staff at the tour desk of Fresh Studios in Skiathos can arrange car rental and sailing trips. Famous Koukounaries Beach is only 13 km away and very easily accessible – the bus terminal can be found right opposite the property. Please click here for more information and details about our property – we guarantee friendly service and competitive prices for your holidays in Skiathos! Koukounaries – the world famous beach of the island, almost 1 kilometer wide with a golden thin sand. Fully organized with water sports, sun beds and umbrellas, cafes and small kiosks. Koukounaries is a popular destination during summer and fully organised with all facilities and commercial shops nearby (cafeterias, tavernas, ouzeris, bars, supermarkets and more). Frequent bus service operates throughout the day. The beach has received many awards (Blue Flag) and is operated under Ministry of Environment Inspection. When you require more space and quietness in vacations or you would like to be able to host a large number of guests or you just need privacy, then a villa would be the first choice. 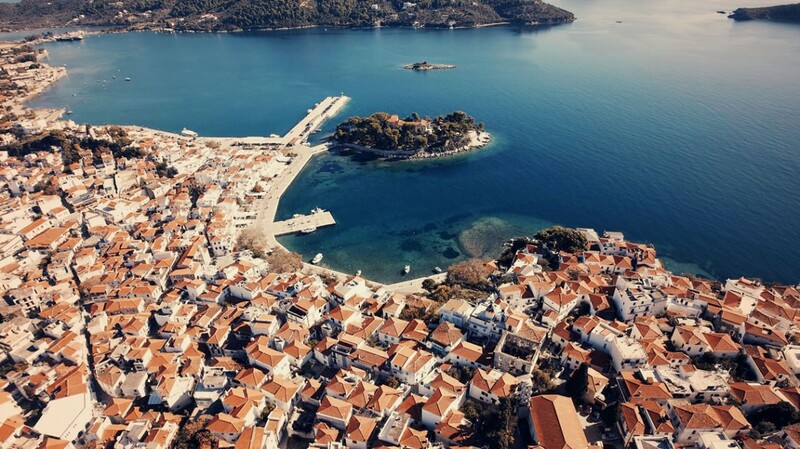 Renting a villa in Skiathos can be affordable, too! 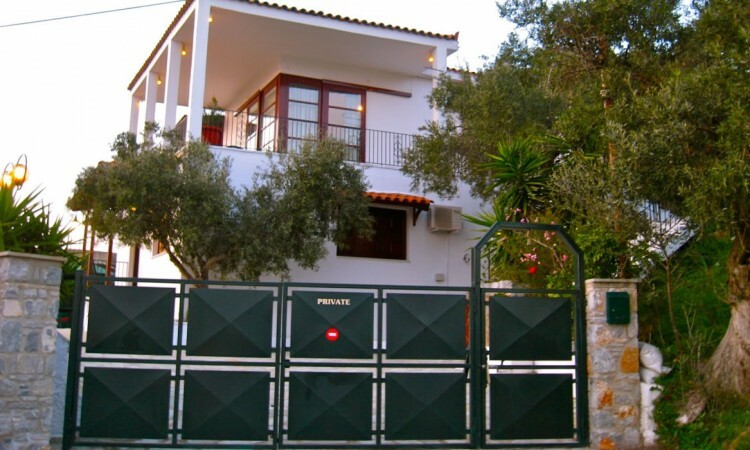 Parisis villas is a fantastic choice for holidays in Skiathos island! Totally brand new, the complex consists of two small villas that can be booked together. The villas have a big swimming pool, large outdoor space with bbq and can host a number of guests for any event: party, wedding, family dinners or other celebration! Xanemos Villa is located near the beautiful, sandy and quiet Xanemos beach! The villa consists of two floors and three appartments in total and is an excellent choice for families or groups. We guarrantee affordable prices and friendly service! 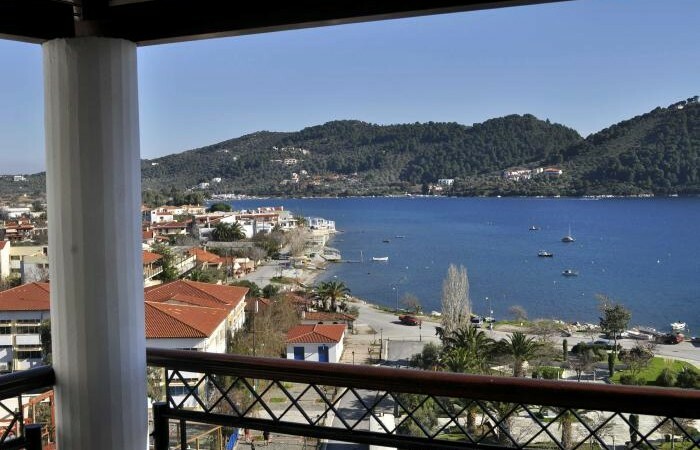 Rooms to let in Skiathos, located atnew port with a fantastic view! 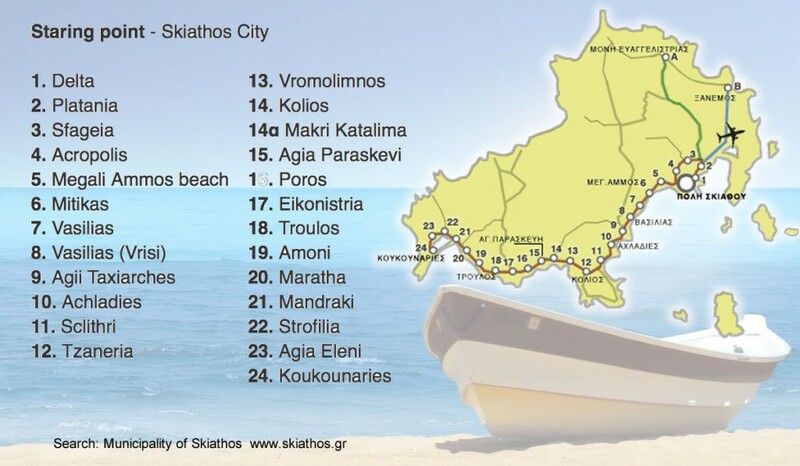 Check our “Fresh Studios and Rooms” and “Agnantema Rooms” – two great choices for cheap holidays in Skiathos! Comfortable, own balcony, television, kitchen, wc, wifi, air condition and more!